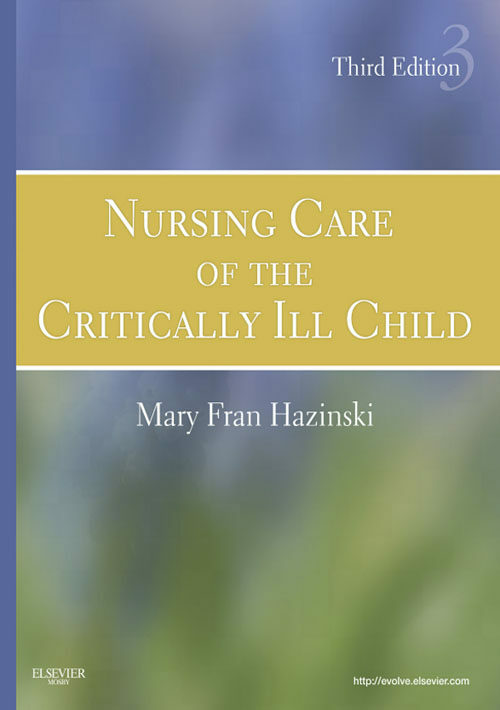 Now completely up to date to meet the needs of today's pediatric nurses, Mary Fran Hazinski's Nursing Care of the Critically Ill Child, 3rd Edition, remains the foundational text of pediatric critical care nursing. Known for its outstanding organization and clear descriptions, this comprehensive reference details the unique care required for critically ill children with thorough discussions of physiology, pathophysiology, pharmacology, collaborative management, and nursing management. Ten new chapters, new advanced practice content, and new nurse contributors and reviewers ensure that this classic text continues to be the essential resource for the care of critically ill children.Details differences in caring for critically ill children as compared with caring for adults: how to modify assessment procedures, consider aspects of psychosocial development, and examine developmental aspects of various body systems. Provides comprehensive coverage of physiology, pathophysiology, pharmacology, and nursing management related to care of the critically ill child. Includes detailed Nursing Care Plans for select disorders. Contains helpful appendices such as pediatric drug dosages, central venous catheter care, and pediatric fluid requirements. Features Evolve online resources with additional content for further study of related topics, including tables for ease of recollection of material and additional references.Contains 10 all-new chapters, including Pharmacokinetics and Pharmacodynamics; Shock, Cardiac Arrest, and Resuscitation; Mechanical Support of Cardiopulmonary Function; Fluid, Electrolyte, and Endocrine Problems; Immunology and Infectious Disorders; Transplantation and Organ Donation; Toxicology/Poisonings; Fundamentals of Quality Improvement and Patient Safety; Clinical Informatics; and Ethical Issues in Pediatric Critical Care Features nurse contributors and reviewers for every chapter, making this edition a truly collaborative text. Provides information vital to the advanced practice nurse, such as assessment tools and severity of illness management. Includes numerous Pearls that highlight practical wisdom from experts in pediatric critical care nursing.